Telefonica is one of the largest fixed-line and mobile telecommunications companies in the world. It operates globally across Europe and Latin America and has an annual revenue in excess of 60 billion Euros. 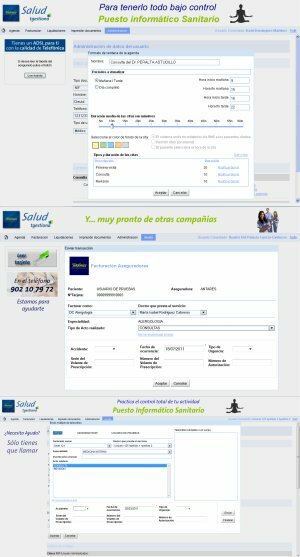 Kennard Consulting worked with Telefonica to develop a product for the Spanish National Health System. Our Metawidget technology enabled them to create a solution unlike any available. "With our requirements Metawidget was basically the only option. Our usual techniques would not have done the job". More than clear benefits. With our requirements Metawidget was basically the only option. Our usual techniques would not have done the job.